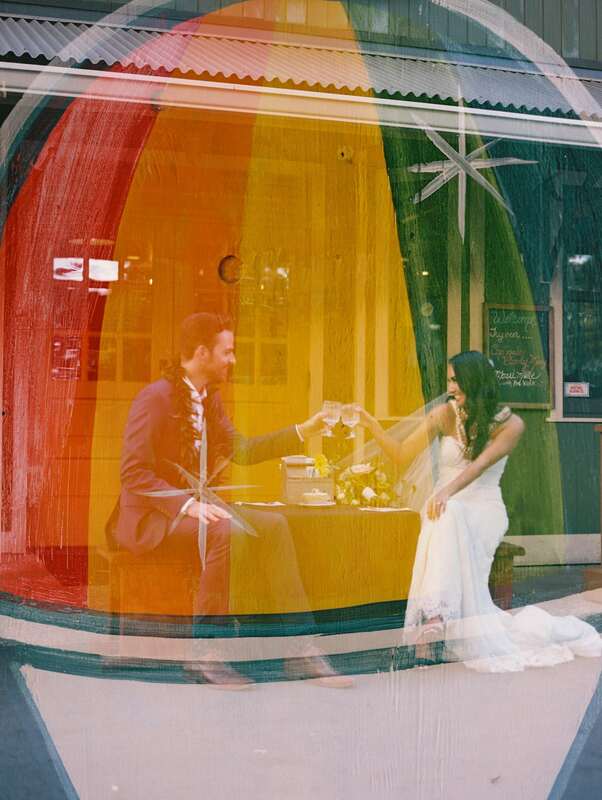 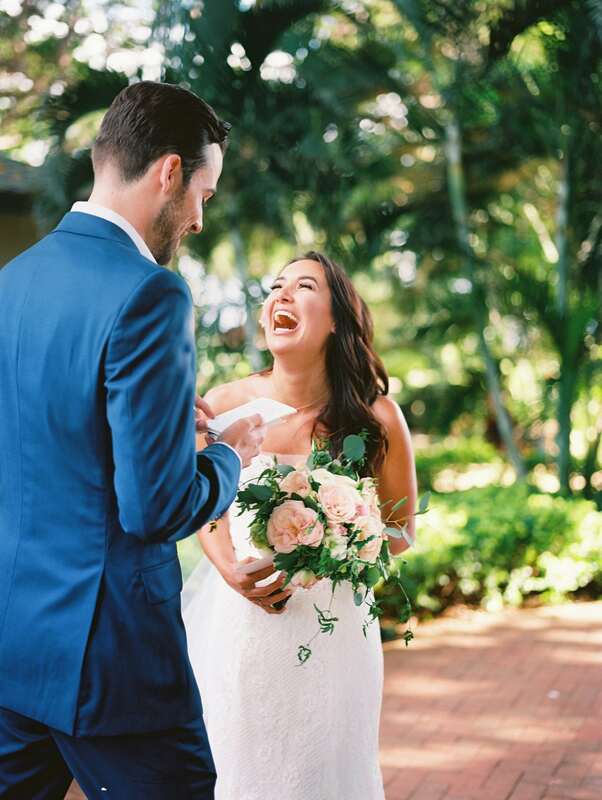 Sabrina and Rory began their love story the day they met when both began a new job at Yelp in San Francisco where Rory introduced himself as an Australian who lived on a boat, and from there 5 ½ years later, found himself proposing on Valentine’s Day. 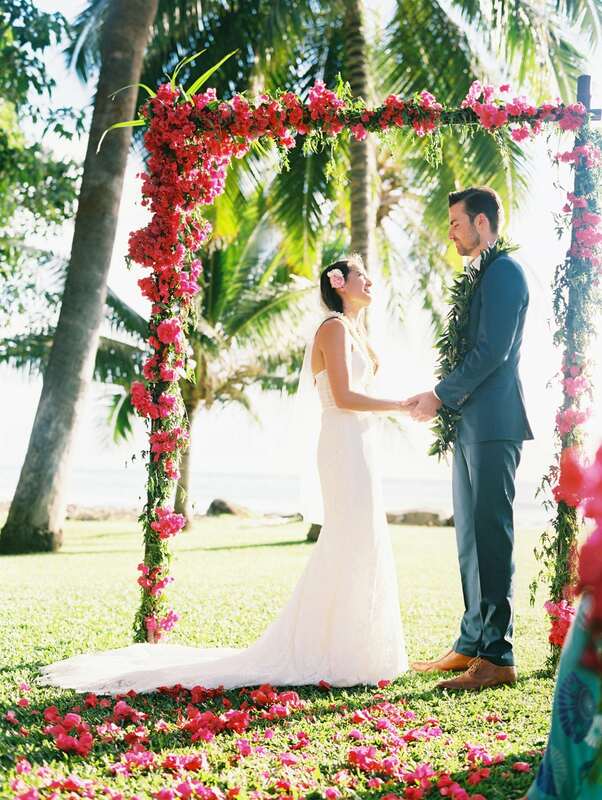 They had originally planned for a Maui Wedding in October with a large guest count, however experienced a plot twist when they were transferred to NY for a great job opportunity. 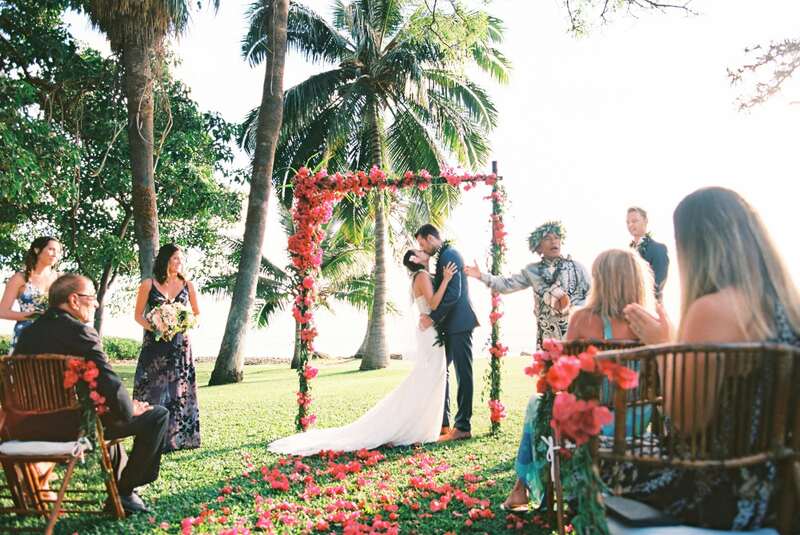 Which resulted in expediting their destination wedding plans to do something more intimate and meaningful with their closest family and friends. 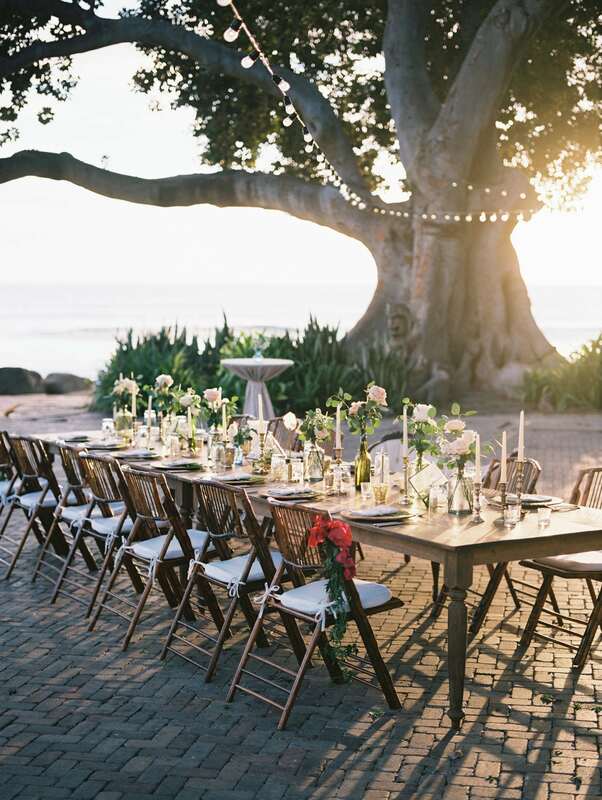 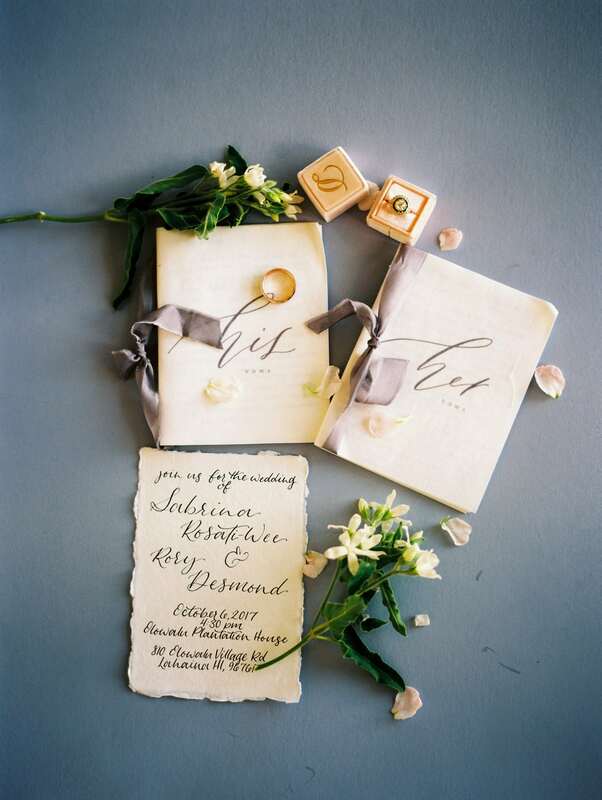 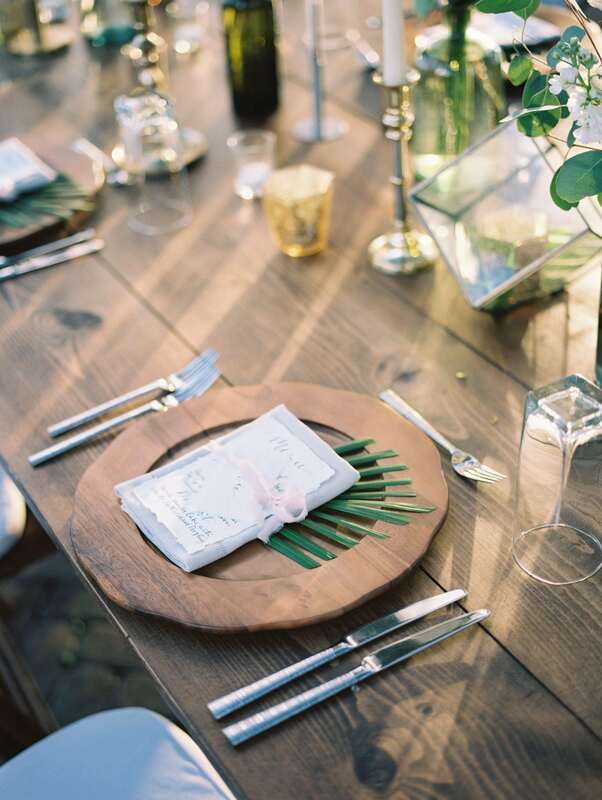 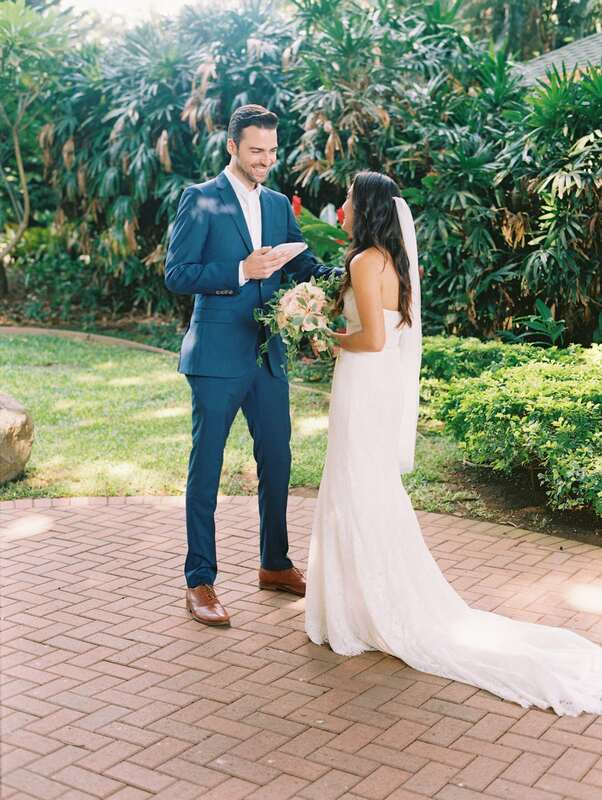 Details were very important to the bride and groom, so they enlisted the guidance of Maui Wedding Planner Ali Thorstad, and as a result were able to achieve exactly what they imagined for their special day. 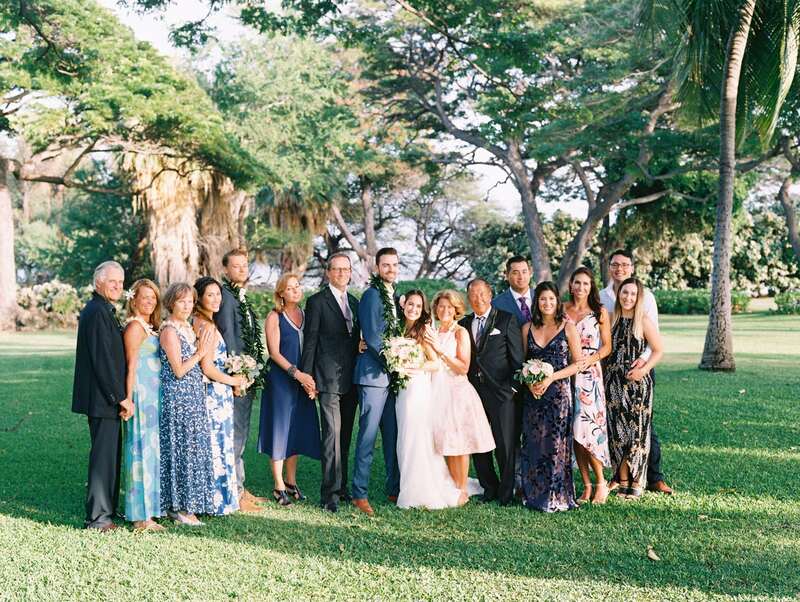 Which a very important detail, was hosting an intimate romantic dining experience of which the Olowalu Plantation Estate provided a stunning backdrop with crystal clear waters of Maui and soft sunset hues. 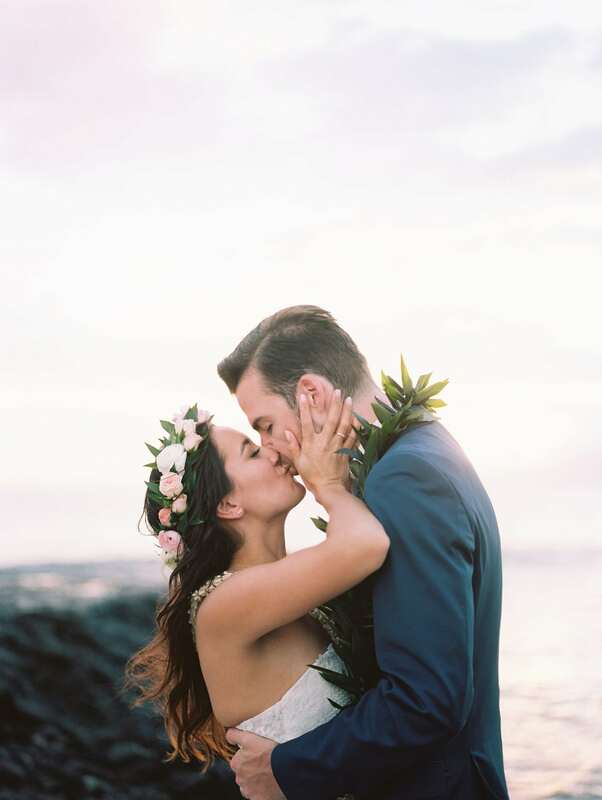 To begin the days festivities, Sabrina and Rory shared in an intimate first look, where they exchanged personally written vows privately, all captured flawlessly by Maui wedding photographer Wendy Laurel. 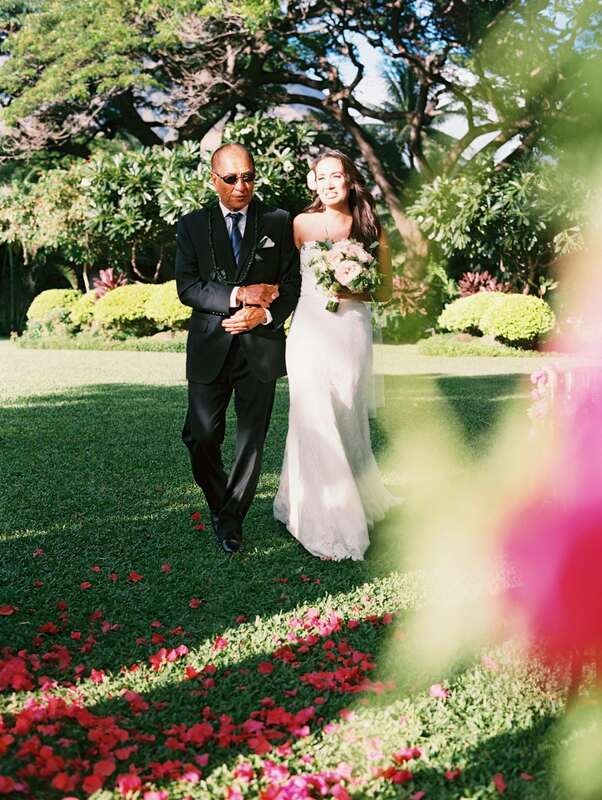 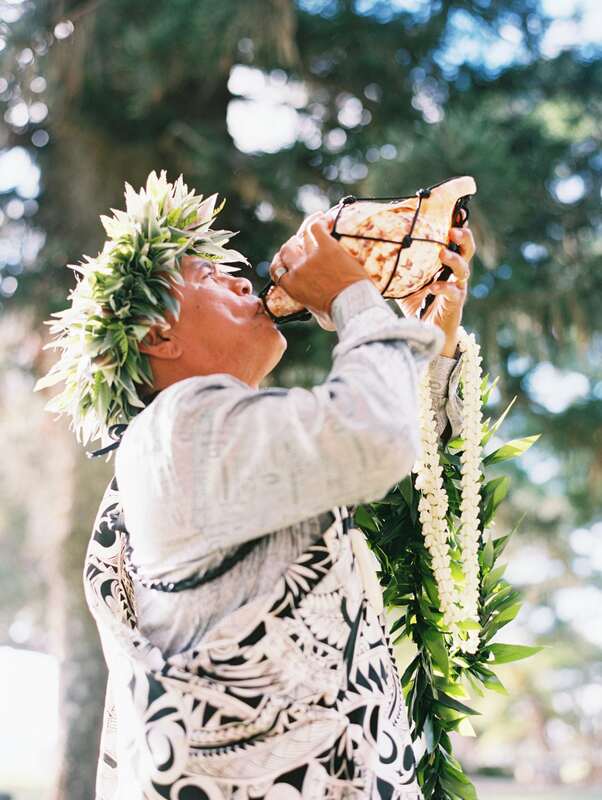 The couple opted for a simple, yet sweet ceremony filled with love and laughter and Hawaiian touches such as conch blowing and a Hawaiian lei exchange; filling the crowd with Aloha as everyone celebrated their love. 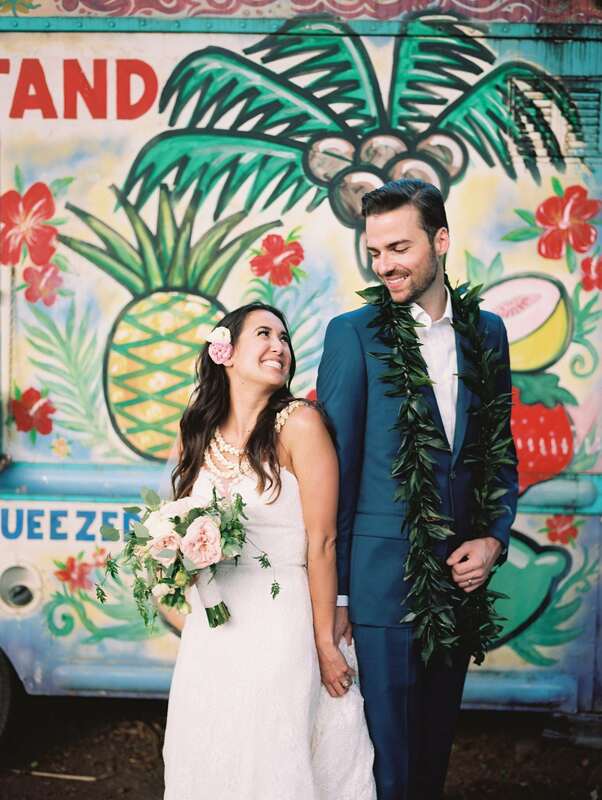 Following the ceremony, Sabrina and Rory took time to themselves to enjoy their all-time favorite dessert, a Leoda’s pie, then followed by a pit stop at the colorful iconic fruit truck in Olowalu to showcase their love in full Hawaiian flare. 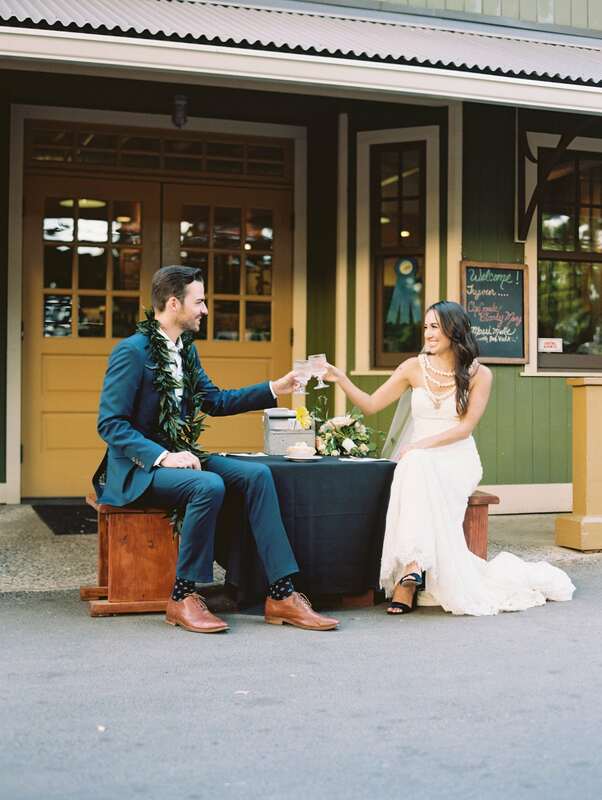 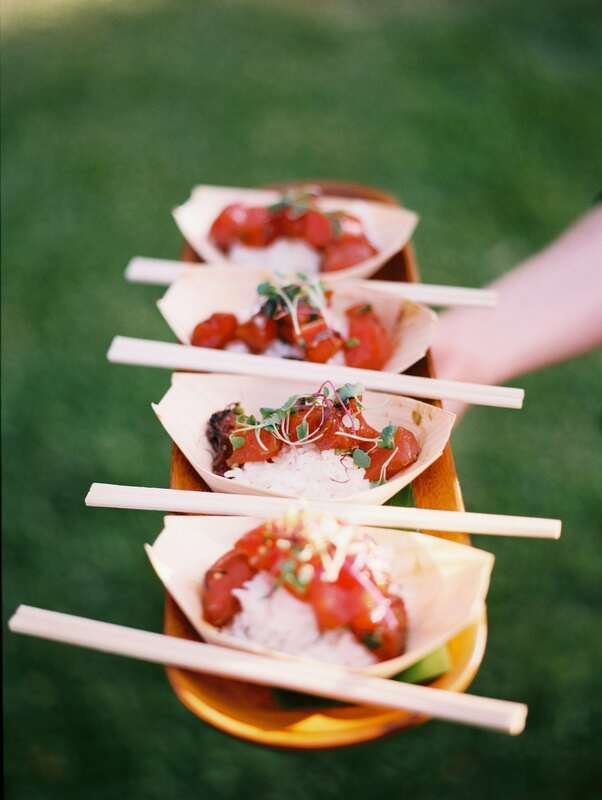 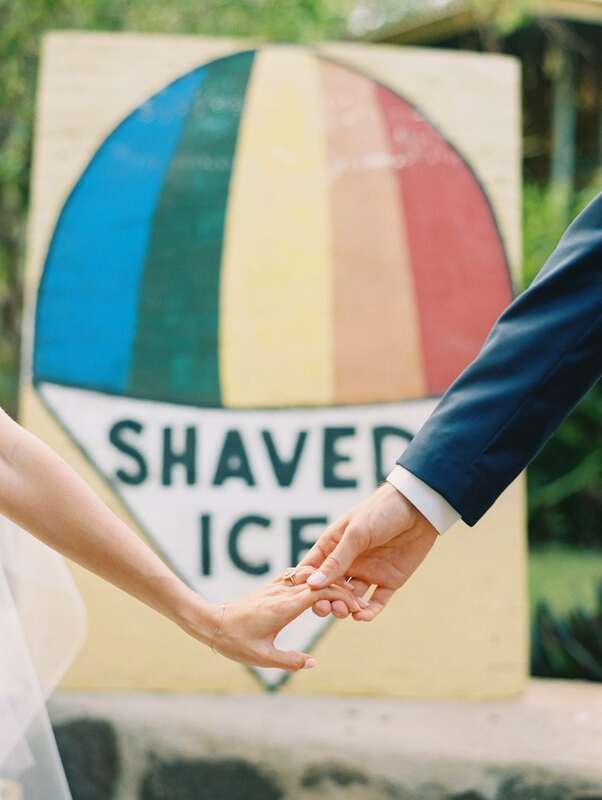 And as big-time self dubbed foodies, the couple incorporated Hawaiian touches in their cuisine with poke bowls during cocktail hour, and of course a local staple, shave ice! 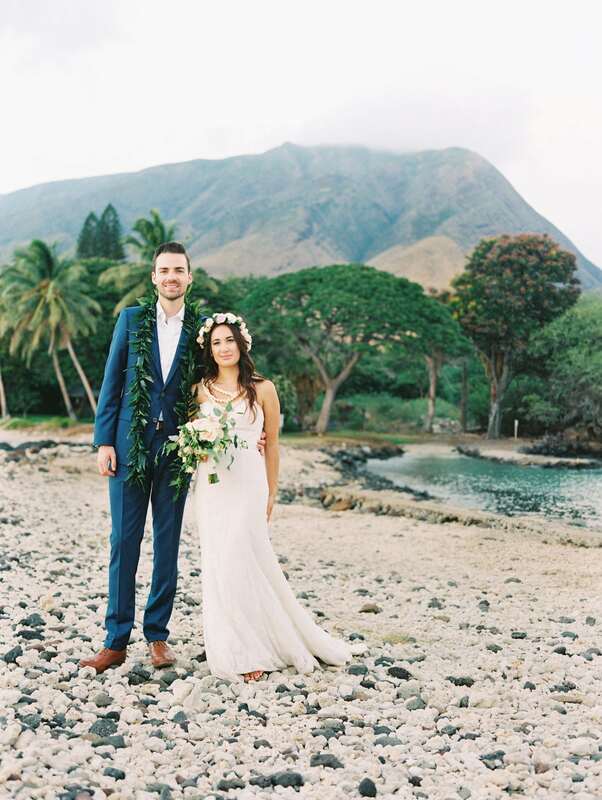 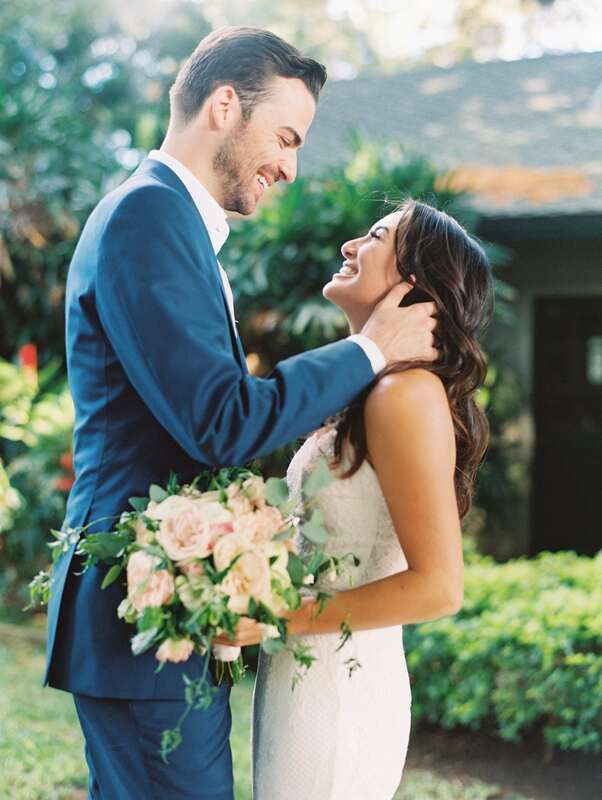 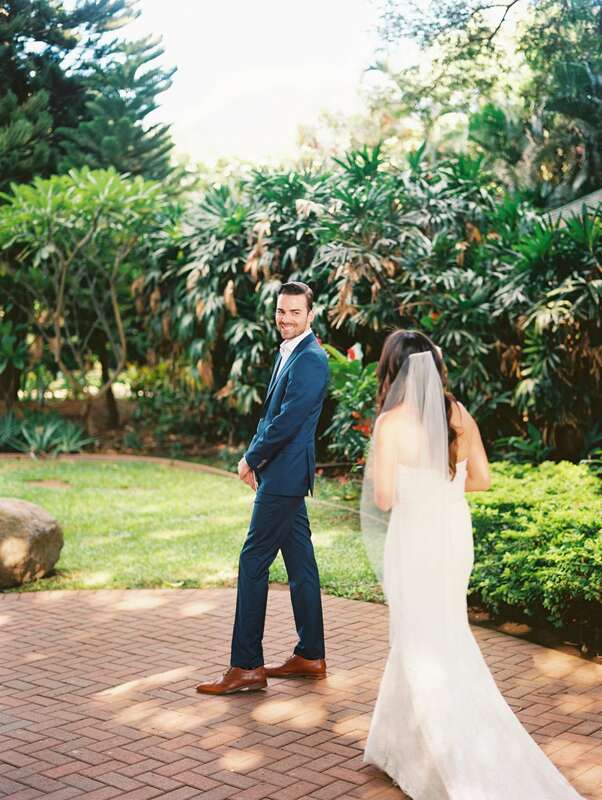 From Maui Wedding Planner Ali Thorstad herself, “ enjoyed every minute of planning this fun filled Maui Wedding and trust this finds Sabrina and Rory still in wedded bliss! 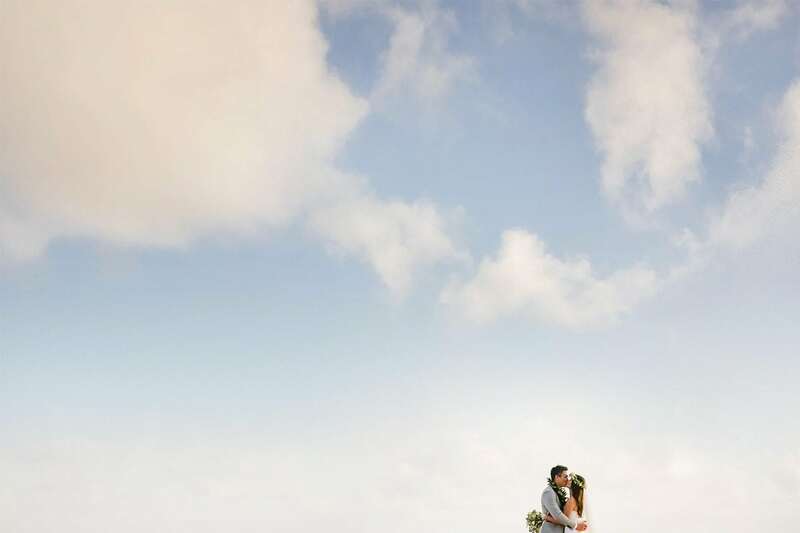 Wouldn’t you?? 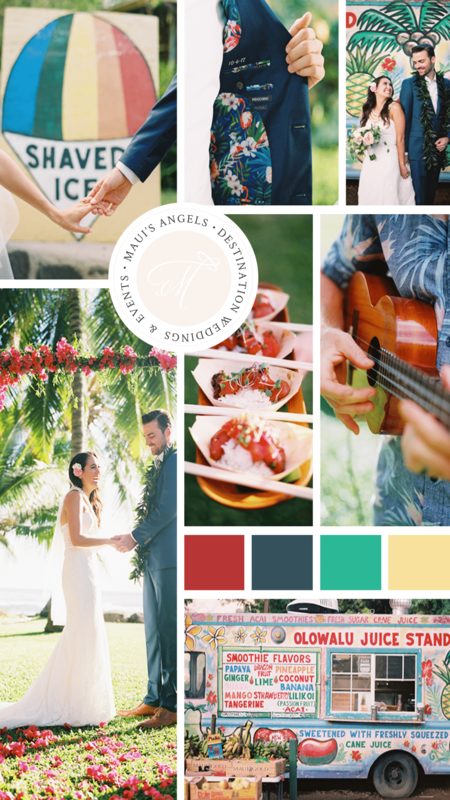 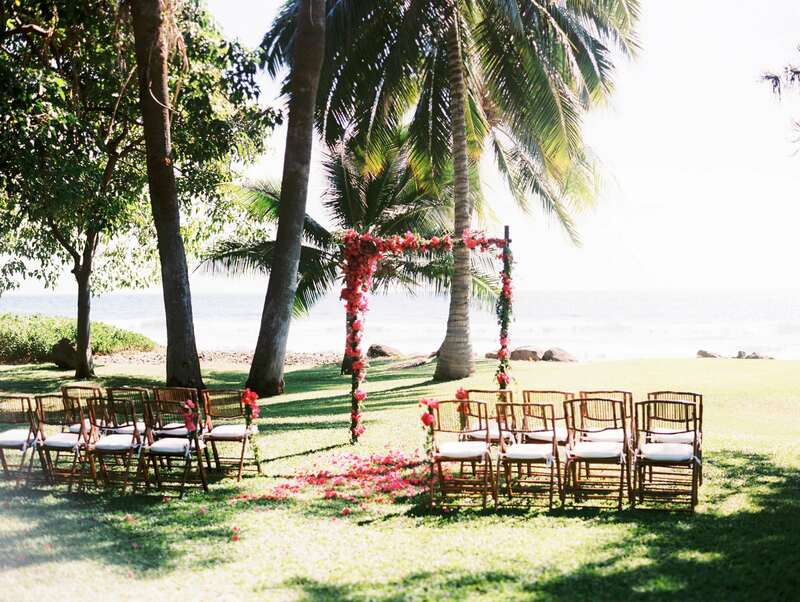 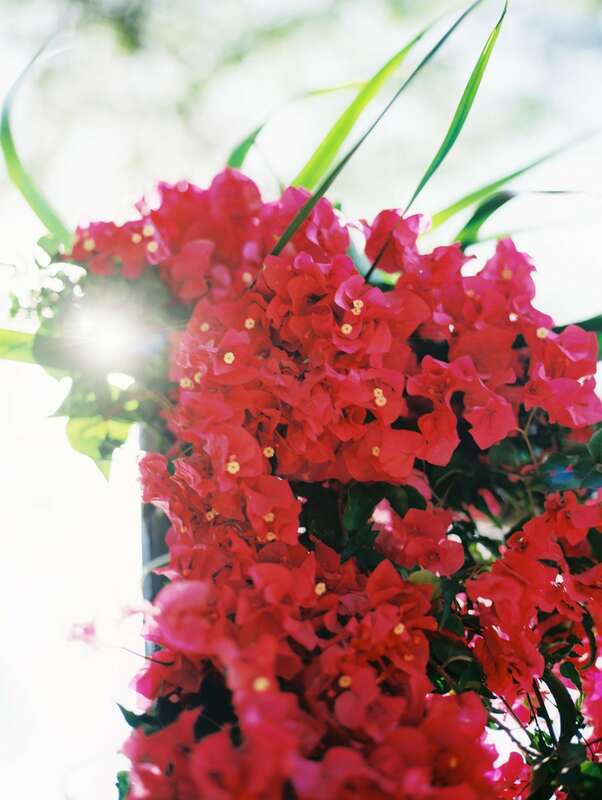 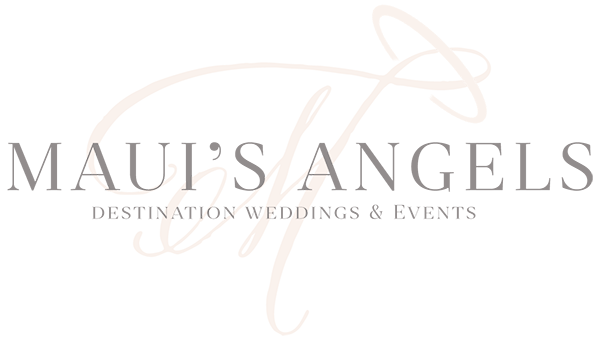 For more Hawaii Wedding Inspiration, visit Maui’s Angels on Pinterest!